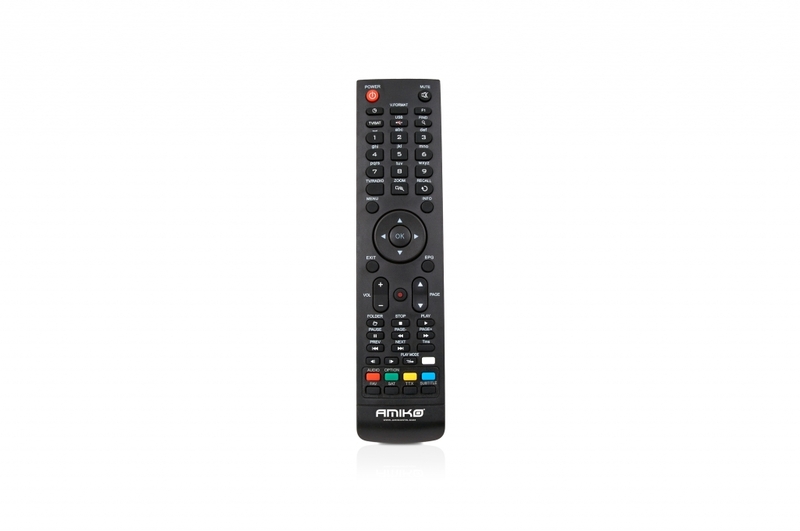 Receptor digital de satelit Amiko HD 8250+ cu Conax încorporat, slot CI - Common Interface & Media Player. One Conax Embedded card reader. 6000 channels (TV and Radio) programmable. Stream TV & Radio channels to your Android devices via local network! Click here for the App!. Two High Speed USB 2.0 Connections. Ethernet Connection & USB WiFi Support (Ralink RT5370 chip only). RSS Reader & Weather Forecast Functions (Ethernet or WiFi connection required). Channel Streaming via local network to Android Phones & Tablets. Channel Recording to External Storage Devices (optional). Channel Recording & Timeshifting Simulteniously (optional). Channel switching time less than 1 second. True-color, User Friendly On-Screen Display (OSD). Full Picture In Graphic (PIG) function. Electronic Program Guide (EPG) for on screen channel information. Teletext supported by VBI insertion and software emulation. Parental lock facility by channel and program event. Program and Channel information transfer from receiver to receiver. Satellite Blind Scan & Fast Scansupport. DiSEqC 1.0, 1.1, 1.2 and USALS Compatible. Full HD (1080p) Output via HDMI. Software upgrade support via USB, Network, OTA, RS232. Power Consumption in Stand-By: <0.5W.